A parliamentary report of 1777 recorded parish workhouses in operation at Stourbridge (for up to 40 inmates), Old Swinford (40), and Hales Owen (260). 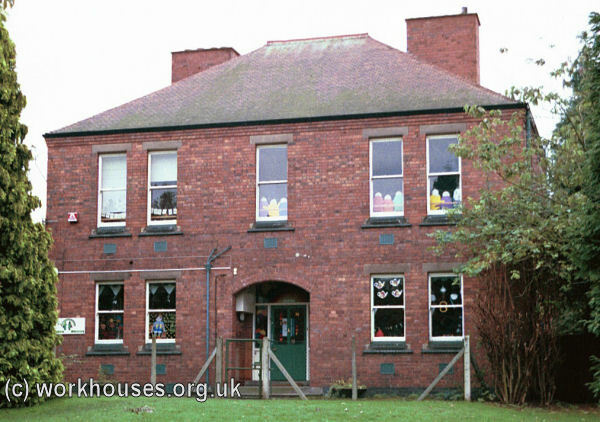 Kingswinford had a parish workhouse at a site about a mile to the south of the town on Stream Road. Cradley had a workhouse on Oldnall Road. Halesowen was one of the workhouses to issue its own coinage in the form of workhouse tokens in the early 1800s when there was a national shortage of copper coins. The tokens could be spent locally to buy bread and other basic commodities. In 1835, Stourbridge had a workhouse on the High Street with Thomas Crudgington as its master, while the Old Swinford workhouse stood on Hagley Road with John Fairfield as master. 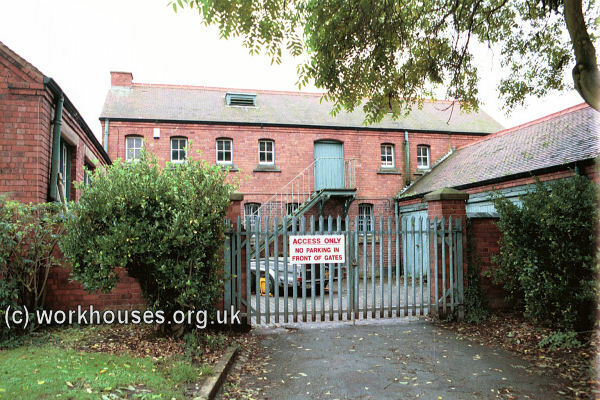 At the Halesowen workhouse on Church Street, Sarah Foley was governess. Worcestershire: Cradley, Lutlers, Old Swinford (3), Stourbridge (3). Shropshire: Cakemore, Halesowen Borough (2), Hasbury, Hawn, The Hill, Illy, Lapal, Ridgacre. The population falling within the Union at the 1831 census had been 35,911 — ranging from Hawn (population 98) to Kingswinford (15,156) with Oldswinford the next biggest parish (6,490) then Stourbridge itself (6,145). The average annual poor-rate expenditure for the period 1834-36 had been £8,339. 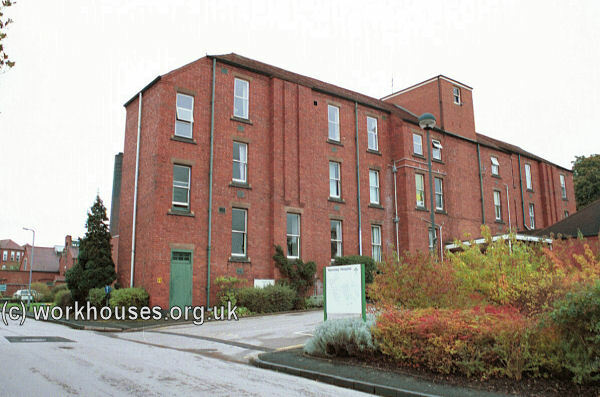 Initially, the former Kingswinford parish workhouse was used by the new Stourbridge Union. The Poor Law Commissioners authorized and expenditure of £1,500 for its enlargement, the architect of which was a Mr Griffiths. Over the next half century a number of additions and alterations were made. 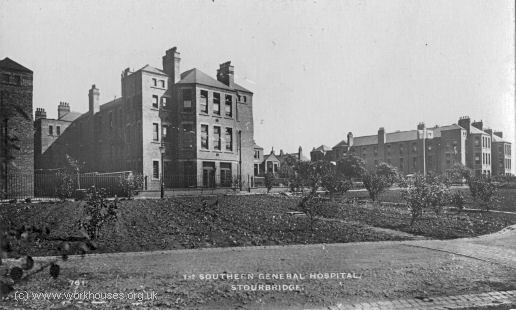 Additional land was purchased in 1858-9, with the erection of new infectious wards in 1861 and 1871, a children's block in 1869, and a detached board-room at the west of the workhouse in around 1874. The 1869 children's building included schools for 200 children with dormitories above, a class room, staircases, lavatories, baths, water closets, play sheds and playground. The old wall and privy to the drying grounds were rebuilt as the playground walls. On 10 May 1872, the Board of Guardians agreed that 'the erection of a detached building for a Board Room with suitable offices for the deposit of the Books of the Union and waiting rooms for applicants attending for relief' was necessary. On 31 May 1872, the Board met with the architect Mr Smalman Smith and decided on a suitable site for the building. Plans were produced by the architect and then approved. However, due to the economic climate and inclement weather, the formal building contract was delayed until the spring of 1874. The Local Government Board stipulated that the building work be completed by April 1875. The builder was John Guest of Amblecote. The block included the Relieving Officer's room, the Board Room itself, a Waiting Room, a Clerk's Office, and a lavatory. Stourbridge 1874 board-room block, 2000. To the north of the board-room is the casuals' block which has a foundation stone dated 2nd January 1904 laid by Chairman of the Board of Guardians, John Warr. Stourbridge new workhouse foundation stone, 2000. At the south-west of the site is a house which, being adjacent to the work yard, may have belonged to the labour master. To the east of this are two work yards. The main workhouse buildings consist of a central administration block, with two accommodation pavilions on each side. The southern pavilions provided male accommodation (97 in the front block, 57 in the rear); the northern pavilions accommodated 107 women at the front, while the rear one was used as a nursery. A large pavilion-plan infirmary was erected at the east of the workhouse. Stourbridge from the south-west, 1930s?. Stourbridge administration block from the west, 2000. 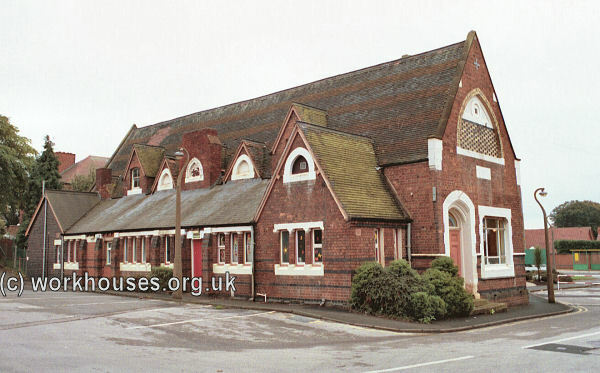 Stourbridge men's accommodation pavilion, 2000. 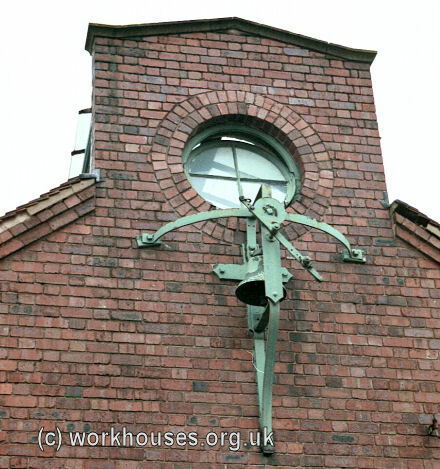 The boiler house to the north is adorned by the workhouse bell by which the inmates' day was ordered. In 1907, inmate James Clarke died in the Stourbridge workhouse. The death was notified to his family who could, if they wished, organise the funeral themselves. If this did not happen, the Guardians arranged a burial which usually took place in a local cemetery or burial ground in an unmarked grave. 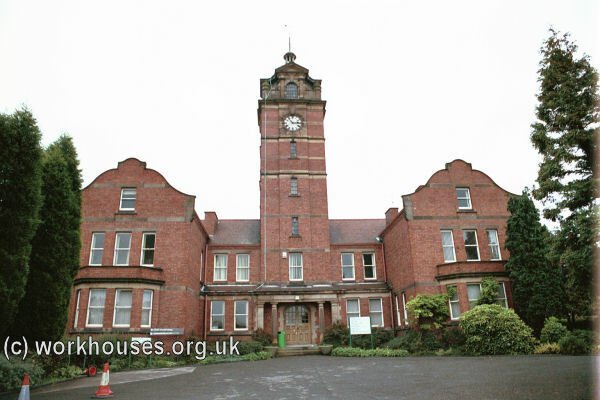 In the summer of 1915, the workhouse infirmary was taken over to provide the 510-bed Stourbridge annexe of the 1st Southern Military Hospital which had its base at Birmingham University. Stourbridge workhouse infirmary from the south, c.1915. 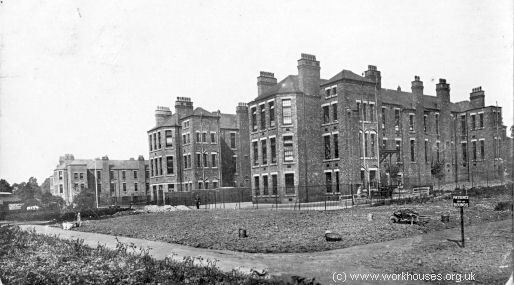 Stourbridge workhouse infirmary from the west, c.1915. 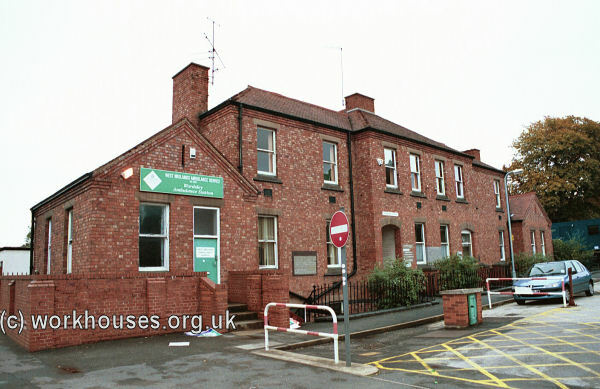 After 1930, the former workhouse became a Public Assistance Institution. 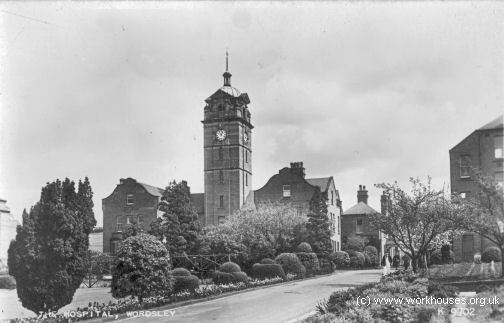 Then, in 1948, the site became part of the National Health Service as Wordsley Hospital. It also later became home to the Birmingham Regional Plastic Surgery Centre. The 1874 board-room and 1904 buildings mostly survive but the site is now (2005) closed pending redevelopment. In 1842, the Poor Law Commissioners investigating the employment and conditions of children in mines and manufactories, discovered that workhouse boys, some as young as eight, were being sent on "apprenticeships" of up to twelve years working in coal mines. As a result, some unions in the coal-mining districts of South Staffordshire and adjacent areas were asked to provide detailed information on the children who had been apprenticed in the mining industry in recent years. Stourbridge recorded only two such cases: in 1841, Richard Morgan, aged 10, was apprenticed until the age of 21 to John Blakeway, butty collier to Messrs. Grazebrooks, Netherton Colliery, Dudley; in 1842, Cornelius Deeley, aged 14, was apprenticed until the age of 21 to Thomas Gould, butty collier at a British Iron Company mine. The Stourbridge union clerk, Henry Duignan, also assured the Commissioners that any boys so apprenticed were believed to be properly treated by their masters. 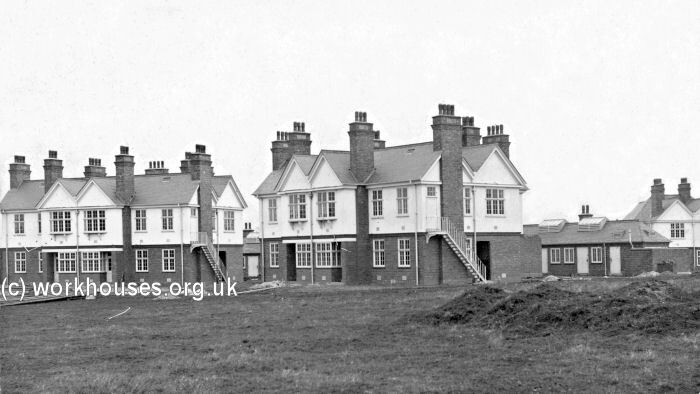 In 1902-4, the Stourbridge Guardians erected two children's cottage homes away from the workhouse on a green-field site at Norton, to the south-west of Stourbridge. Children were accommodated in 'family' groups under the care of a house mother. Stourbridge cottage homes site, 1921. Stourbridge cottage homes from the south-west. The homes have now been demolished and modern housing occupies the site. Staffordshire Record Office, Eastgate Street, Stafford, ST16 2LZ. Holdings include: Guardians' minute books (1836-1929); Pauper classification books (1847-1907); Letter books (1836-98); etc. Wordsley Workhouse and Wordsley Hospital by J. Godfrey, J. R. Richardson and VI Form Students of the Summerhill School, 1978. Thanks to Michelle Higgs for information on the Stourbridge workhouse.